There won't be APR for first 15 months with this card. Balance transfer fee (3%) and cash advance fee (4%) are fair. It is good for those who are looking for a balance transfer card. You are not going to earn any rewards with this card. You will pay 2% more for foreign transactions. This card is not good if you want to earn bonus and rewards. 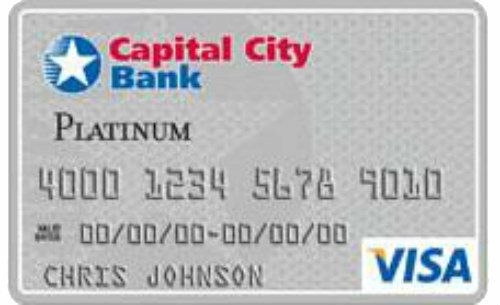 Capital City Bank Visa Platinum Card has a long 0% no APR period. You are not going to pay APRs about 15 months except Cash Advance with this card. The regular APR of the card is 13.99% – 22.99% which is fair for a visa platinum card. Cash Advance APR is 25.99%. There is no annual fee for this card. There is not any bonus for this card as same as many other platinum cards. You don’t also get cash backs and rewards points for Capital City Bank Visa Platinum Card. You will need to pay 2% foreign transaction fee for each purchases. Cash Advance fee is 4% for the card. You can see all rates of the card below. 0% APR for first 15 months. 13.99% – 22.99% None None 2% $10 or 4% 25.99% $5 or 3% 0% APR for first 15 months. 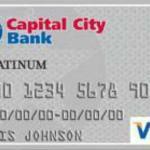 You can read some users reviews of Capital City Bank Visa Platinum Card below.